1 Skin lesion of blood vessel.Red blood streak. 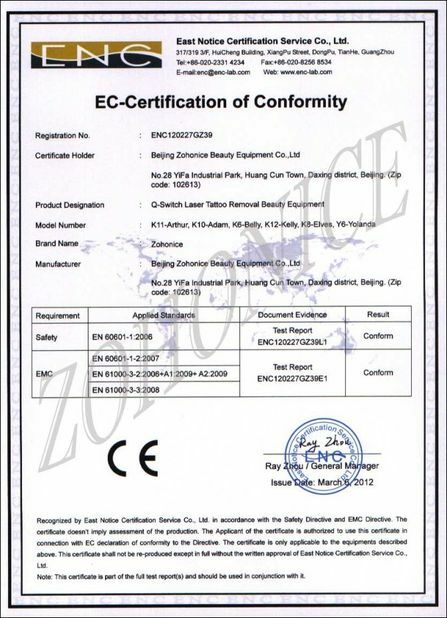 3 Gradation of external pigment.Embroider eyebrow, soak lip, tattoo remove, eye line,etc. 1 Easy to operate,quick to be cured. 2 No bleeding, narcotization is not necessary. 3 High and new laser technology-instantaneous explosion. 4 LCD display in both Chinese and English, IR remote control. 5 Standardized building block design, convenient in maintenance. 6 Will not destroy hair follicle, will not injure ordinary skin and scarless. 7 Solid laser, produced according to international standard, stable in property. 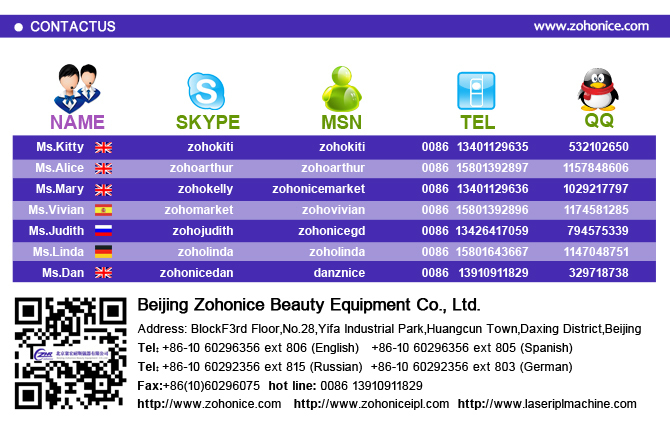 Beijing Zohonice Equipment Co., Ltd. is an integrative enterprise that specializes in the R&D of laser beauty products. 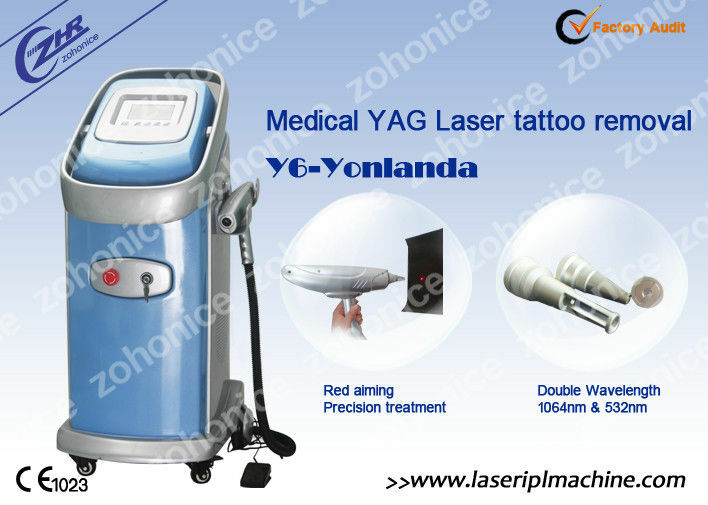 We invest a lot of time and effort in developing the series of Q switch laser machine,IPL,RF, Elight, Long pulse laser ,Er Glass fractional laser and LED(PDT) equipment. 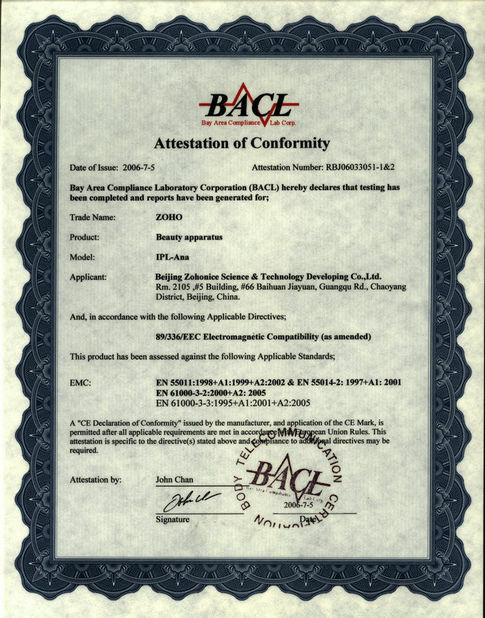 Our company has made our own contribution in the laser cosmetic line 5 years. We can do OEM/ODM orders. 4. After one year, we offer to repair the machine, but we quire for the cost of the changed parts, not for manual cost. 5. No responsibility for man-made destroy.